Google's G1 an iPhone Killer? | Android Blast! Android Blast! > News > Google's G1 an iPhone Killer? Google's G1 an iPhone Killer? Today Show contributor Paul Hochman says the G1 maybe an iPhone killer. 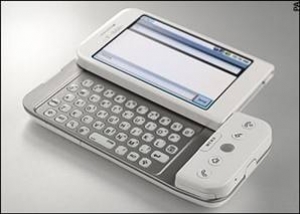 He has several arguments including a lower price point, lower cost for unlimted 3G, a 3 megapixel camera, and of course a slide-out keyboard. He's right about these features but does he really think the iPhone will drop dead because of the G1? I doubt it. If anything the launch of the G1 will make Apple work harder to come up with better features. The G1 is definitely good for the market and could even be considered a game changer. It will make everyone work harder but it won't be an iPhone killer.